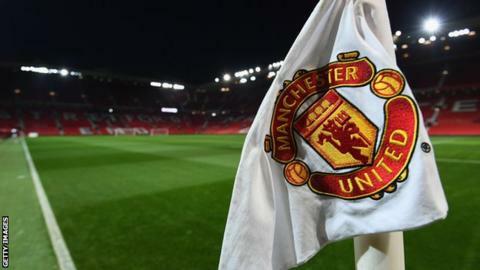 Manchester United have been awarded a licence to join next season's Women's Championship, ending their 13-year absence from the senior women's game. West Ham United will move straight up to the top flight - the new 11-team, full-time Women's Super League. Charlton, Leicester, Sheffield United and Lewes will join the Red Devils in being added to the second tier. But current top-flight side Sunderland and second-tier Watford and Oxford are to drop out of England's top two tiers. The news comes after a restructure of the women's leagues - which are run by the Football Association - and sees existing clubs have to reapply for their places, before a second, open application phase. Southampton, Crystal Palace and Derby County were among the other sides to bid to join the new second division, but were unsuccessful. BBC Sport understands Sunderland, who finished seventh in the top tier in 2017-18, Watford and Oxford will all be offered spots in the third tier, the new Women's National League. Manchester United, who had faced widespread criticism after disbanding their women's team in 2005, are expected to be managed by former England international Casey Stoney, who won 130 caps. The WSL, which was won by Chelsea in 2017-18, will increase to 11 clubs, all of whom must meet new, full-time criteria and run a youth academy. Of the 15 clubs who were not already playing in the top two tiers who applied for a licence, West Ham will be the only club to join the top flight. Yeovil, who finished bottom of the table without a league win this term, have kept their place, having initially expressed fears at needing to raise £350,000 to stay up. Brighton, who finished second in WSL 2 in May, were already assured of their 'promotion' to tier one, having successfully bid for a WSL licence in the first, closed phase of applications last autumn. There had been spaces for up to 14 teams in the new WSL, but only 11 clubs have met the new criteria. Seven existing second-tier clubs were already assured of keeping their places, leaving up to five vacancies for the heavily oversubscribed league. Third-tier Sussex club Lewes FC - who reached the Women's FA Cup fifth round this term - are among the surprise names to join the new division. Lewes have a policy of equal pay for both their men's and women's sides - believed to be the first football club in the United Kingdom to do so. Manchester United have confirmed that their new team will be based at The Cliff training ground in Salford, once redevelopment work has been completed. Executive vice-chairman Ed Woodward said in a statement: "The board is delighted that the FA has approved the application. "The new women's team will build on the success of the Girls' Regional Talent Club and have the same philosophy as all Manchester United sides, creating a pathway from academy to first team. "Starting a professional team from scratch is challenging but rewarding and we will make every effort to provide the support and experience for the new women's team to be successful and to uphold the fine traditions of our great club." The FA's head of women's football, Baroness Campbell, said: "The revised competition structure will positively impact on the delivery of the women's game across all levels, both on and off the pitch. "Such is the strength of women's football in this country, there have been some difficult decisions to make but they've been made with the sport's best interests at heart. The 2018-19 season will begin on 18-19 August with the opening round of group fixtures of the Continental League Cup. The WSL and Championship campaigns will start on the weekend of 8-9 September.